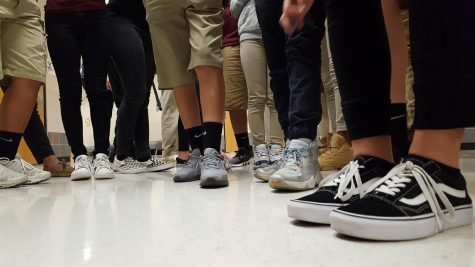 Weeks after the mass murder of 17 students and staff, movements have surfaced by teens who won’t be silenced any longer. In New York City, Chicago, Atlanta Santa Monica, Newtown, Conn., and at Columbine High School students walked out at 10:00am for approximately 17 minutes in protest to gun laws as well as to remember the 17 lives that were lost on February 14, 2018. They only come with one message and one question to ask Congress: Why do you let these mass murders happen? With an average of 1.5 school shootings a week so far in 2018, they want to know why no one has taken the necessary steps to stop these tragedies. After students rallied outside the state capitol the governor of Florida passed a bill last week raising the age limit to own a firearm from 18 to 21. This week President Trump neglected the gun control laws proposed, implying the republican party never intended on changing them. The teens got their moment of fame in the national media. Although they are not fully rested quite yet, they are determined to win this controversial case against congress. Parkland student, Cameron Kasky, spoke about the marches at the CNN Town Hall with Florida Senator Marco Rubio. Since the school shooting, students have created the #neveragain hashtag on social media to open the public’s eyes about the situation and to prevent it from happening again. The official website, Neveragain.org, claims “Normalcy, Never Again,” was the original title of Dr. King’s “I Have A Dream” speech. In Argentina, “Nuncio Más” became a response to the human rights abuses of military rule. And now, the #neveragain movement has sparked a new chapter in this ongoing story. The teens do not plan to stop, and won’t stop these ongoing protests. These movements, marches, and protests have the potential to be remembered as the turning point in modern society recognizing human lives over materialism. No matter how many interviews and speeches, these teens will keep fighting for what they believe in and never give up. They will no longer be silent and will keep walking out until a change is made, restricting gun laws. “We’re here now and we have to keep on going and realize we are here to fight the good fight,” Kasky said.